Find an Oasis Tribute Band for hire near you in minutes! Option 1. Enter your event location below & contact an Oasis Tribute Band directly! Option 2. 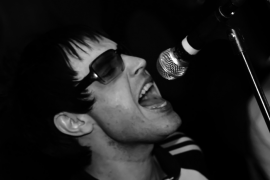 Request multiple quotes from available Oasis Tribute Bands Get Quotes! Option 3. Read information & advice on hiring Oasis Tribute Bands Read Advice! WANT TO KNOW MORE ABOUT OASIS TRIBUTE BANDS? Read on for the most comprehensive guide to booking an Oasis Tribute Band, including howmuch an Oasis Tribute Band costs, exactly what they will do at your event, plus tips, advice and information to help make your event one to remember! When you book an Oasis Tribute Band, you will get the a band of talented musicians who will blast out the best loved Oasis tracks in the world! WHAT EXACTLY WILL AN OASIS TRIBUTE BAND DO AT YOUR EVENT? Hire an Oasis Tribute Band, and they will not only play the best Oasis songs ever, but they will also do their best to look and sound like the Britpop superstars! From Liam Gallagher’s raw, Mancunian drawl, to Noel Gallagher’s best guitar solos. The Oasis Tribute Band will play all the Oasis Rock songs and the best Oasis ballads alike, all the while wearing the leather jackets, parka jackets and bucket hats that Oasis were famous for! Whether you’re searching for an Oasis Tribute Band in London, an Oasis Tribute band in Scotland, or an Oasis Tribute Band in the US, we should be able to find the best Oasis band local to you! Mainly, an Oasis Tribute Band will entertain your audience with a fantastic live show that will put the wow factor into celebrations and impress your guests, whatever their entertainment tastes may be. WHAT EVENT TYPES ARE OASIS TRIBUTE BANDS HIRED FOR? Hire an Oasis Tribute Band for your wedding ceremony entertainment and you will get a group of talented musicians who will cover Oasis’ most romantic songs. The Liam Gallagher Impersonator et al can be set up to play love songs such as ‘Songbird’ as the bride to be is walking down the aisle! The Oasis Tribute Band can also play something celebratory and rockier such as ’Stand By Me’, (not the Ben E King classic!) This is maybe not your usual form of wedding ceremony entertainment, but it’s just as romantic! The wedding drinks reception is the time of day when your wedding guests are just getting to speak to each other properly due to the bride and groom being more busy with official wedding engagements. Why not then, hire an Oasis Tribute Band to entertain the weddings guests?! Whether inside the venue or whether you are hosting the wedding drinks reception outside, the Oasis Tribute Band can be set up to play soft rock classics such as ‘Let There Be Love’, ’Stop Crying Your Heart Out’, ‘Whatever’ and ‘Little by Little’ to name a few! This will relax all of the wedding guests and will be a great ice breaker for the bride and groom’s friends who haven’t met before. We just hope that the Oasis vs Blur debate doesn’t come up! Why not soundtrack the cutting of the wedding cake by hiring an Oasis Tribute Band?! The Oasis Impersonators will play the best Indie songs ever such as ‘Half the World Away’ and ‘Lyla’ amongst many others. The Oasis Tribute Band can also play Oasis’ best hits before and after the wedding speeches are read out. This is the ideal kind of music to get everybody in the mood for the celebrations ahead! The great thing about Oasis songs is because they have such strong vocal melodies, they can be played on acoustic guitar or keyboards, without any other instrumentation backing them. So, if you wanted a stripped down version of Oasis songs then you can request it using our personal messaging service! The wedding evening reception is the time of the wedding day where everybody lets their hair down a little bit more. An Oasis Tribute Band will blow the roof off of the wedding venue with Rock n Roll songs that will delight everybody! Because Oasis’ first album, ‘Definitely Maybe’, came out in 1994, their appeal now spans two generations! You can expect an evening of songs from the Oasis canon of music including ‘Wonderwall’, ‘Don’t Look Back in Anger’, ’Supersonic’, ‘Cigarettes and Alcohol’ and ‘Morning Glory’, amongst many, many others! There’s no doubt that the hired Liam Gallagher will have that swagger and walk that made Liam one of the faces of the 1990s! Your wedding guests will go mad for it! Such is the appeal of Oasis, that we would advise to hire them for your corporate event to drive your work colleagues wild! An Oasis Tribute Band would make for an evening of great entertainment at your work colleagues leaving party, or maybe the annual Christmas party? The Oasis Band will cover everything you would expect from an Oasis Tribute Band including ‘Roll With It’, ‘Acquiesce’ ’Talk Tonight’ and ‘The Importance of Being Idle’, ensuring that your coworkers enjoy a supersonic night of music! We would additionally advise to hire an Oasis Tribute Band for your trade show or product launch! Oasis have a broad atraction with fans of all ages so to hire an Oasis Tribute Act to boost interest in your product would be a smart move! The Gallagher brother mimics can play at your shopping centre, or in your shop. Whatever the product is, the Oasis Act will always gather a crowd. The reason for this is due to the nostalgia people feel for Oasis and the fact that Oasis are dear to many, many people all around the world. Oasis have a back catalogue of songs that are made for partying! Hire an Oasis Tribute Band for your party entertainment and you will get a group of professional musicians who will play the best Oasis tunes from their classic Britpop era! You can expect to hear songs from classic Oasis albums such as ‘Definitely Maybe’, ‘(What’s the Story) Morning Glory’, ‘Don’t Believe the Truth’ and ’Standing on the Shoulder of Giants’. Book an Oasis Tribute band for your 1990s fancy dress party and you and your friends can dress up in parka coats, combat trousers, cyber punk rave gear, pedal pushers and popper trousers all the while bopping about to classic Oasis songs such as ‘Rock ’n’ Roll Star’, ‘Champagne Supernova’, ‘Don’t Go Away’, ‘Some Might Say’, ’Slide Away’ and ‘She’s Electric!’. HOW MUCH DO OASIS TRIBUTE BANDS COST TO HIRE? Our simple to use entertainment directory allows you to firstly search for the best Oasis Tribute Bands who are local (or travel to your area) and then via the contact form you may message them directly to enquire for a no obligation quote to perform at your event. Some Bands will also add a rough price guide to their profile for your convenience. WHAT ARE THE USUAL SET FORMATS AND PERFORMANCE LENGTHS FOR OASIS TRIBUTE BANDS? An Oasis Tribute Band can tailor their performance to times to suit you and your event, however, on average, a professional Oasis Tribute Band will perform for two 45 minutes sets. HOW MUCH SPACE WILL AN OASIS TRIBUTE BAND NEED AT YOUR EVENT? This will depend on how many members the Oasis Tribute Band has. If it’s a 5-piece band, then we would suggest a stage area of 5 metres wide by 3 metres deep, but we would advise to contBand the band personally using our messaging service to enquire with them. WHAT EQUIPMENT AND SET UP REQUIREMENTS DO OASIS TRIBUTE BANDS NEED? of their own equipment. You may want to enquire if an artist needs a PA to amplify their sound, in which case we would advise to use our easy to use messaging service to find out. We do ask that each performer gets a backstage area in which they can prepare for the performance ahead. If your venue does not have a backstage area, then we kindly ask that you enquire with the venue to seek an alternative space in which the performer can comfortably get ready to entertain. HOW CAN YOU FIND AND BOOK AN OASIS TRIBUTE ACT WITH ENTERTAINERSWORLDWIDE.COM? 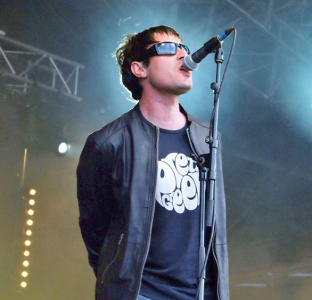 WANT TO RECEIVE A RANGE OF QUOTES FROM Oasis Tribute Bands?